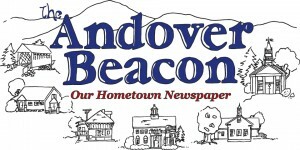 The Water Skiers with Disabilities Association, a sports discipline organization of USA Water Ski, selected Andover’s Nick Fairall as a member of the 2017 U.S. Disabled Water Ski TEAM that will compete in the 13th Disabled Water Ski World Championships, April 27-30, in Lake Macquarie, NSW, Australia. The TEAM selection was announced following the conclusion of the 2016 Disabled Water Ski National Championships held in Harmony, North Carolina in October. This will be Fairall’s first time on the U.S. TEAM which is vying for an unprecedented fifth consecutive World Championship. The USA is the only country to have ever won three Championships in a row. Fairall skis in the seated mens division, and competes in all three events; slalom, jumping, and tricks skiing wherein the skier gets 20 second passes to score the most possible points. 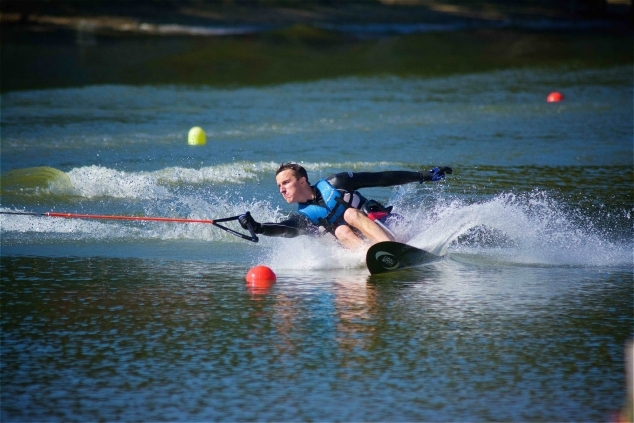 Although Fairall has been water skiing since his youth, he didn’t start adaptive skiing until 2015 after completing rehabilitation from a spinal cord injury. Fairall was shocked and honored to be selected for TEAM USA as the Disabled Nationals was his first competition event post injury. Legendary Adaptive Water Ski Coach immediately saw Fairall’s potential and encouraged him to enter the competition. A New Hampshire native, Fairall was a two time National Ski Jumping Champion (snow) and member of the 2014 U.S. Olympic Team. He was injured Jan 5, 2015 while practicing for the Ski Jumping World Cup in Bischofshofen, Austria. Fairall wasted no time feeling sorry for himself, believing as tough as the traumatic injury was, he couldn’t allow it to define him, or his future. With the World Championship being held in April, skiers must practice throughout the winter to provide their best performance in pursuit of the 5PEAT. Like most, Fairall will need to travel to warm water areas to ski. Although the U.S. TEAM has dominated adaptive water skiing since its inception it remains little known and self-funded. Each athlete must pay for their own training camps, air travel, accommodations, uniforms, and entry fees at a cost of nearly $5,000 per athlete. Fairall is seeking assistance through the Team’s Web site USskiTEAM2017.com which accepts donations via PayPal and allows the public to participate in drawings to help the skiers. The U.S. Disabled Water Ski Team will be vying for an unprecedented fifth consecutive World Championship. No other country has ever won three Championships in a row. The U.S. Team has dominated adaptive water skiing since its inception, winning eight World Championships out of 15, earning 327 Individual Medals, 148 of them Gold. “Disabled” skiing has the same events and rules as able bodied (slalom, tricks, and jumping). Within each event athletes are grouped into the three categories of seated (paraplegics, quadriplegics and double leg amputees), standing (arm and/or leg disabilities with or without prosthesis) and vision impaired (partially or totally blind). The thirteen athletes on the 2017 Team represent nine states, range in age from 17-59, and collectively have earned 65 Individual Gold Medals, (World) and set 43 World Records. Fairall is the only TEAM member from New Hampshire. USA TEAM Coach Matt Oberholtz (Oroville, California) is a four time World Record Holder and has twice been selected as USA Water Ski’s Coach of the Year. TEAM Manager Geneva Brett (Los Banos, California) points out “disabled” is the world’s largest minority, and the only minority anyone can join in the blink of an eye. She believes the athletes represent America’s best; they’ve faced challenges and have adapted, adjusted, and overcome to be great role models. The Water Skiers with Disabilities Association is one of nine sport divisions of USA Water Ski. USA Water Ski was formed in 1939 as a nonprofit organization promoting water skiing in the United States. USA Water Ski is affiliated with the International Waterski and Wakeboard Federation (world governing body) and is recognized by the United States Olympic Committee and Pan-American Sports Organization as the national governing body of organized water skiing and wakeboarding in the United States.